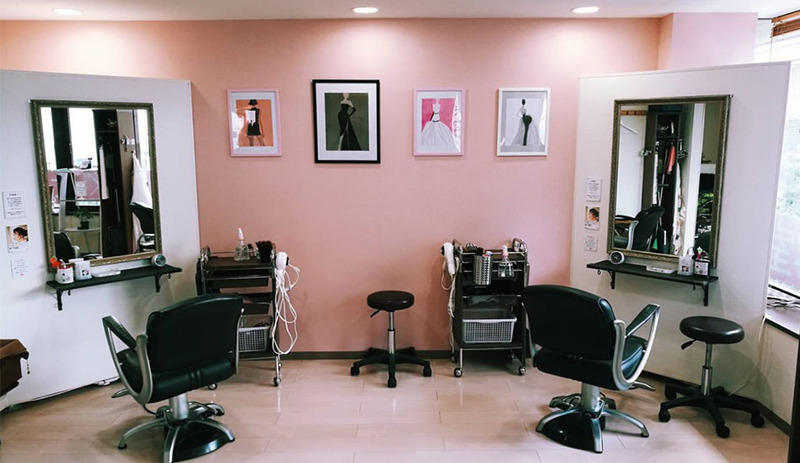 Just a few minutes from Toyocho Station, a new, innovative women’s hair salon opened just this past July. What is the concept of this shop? 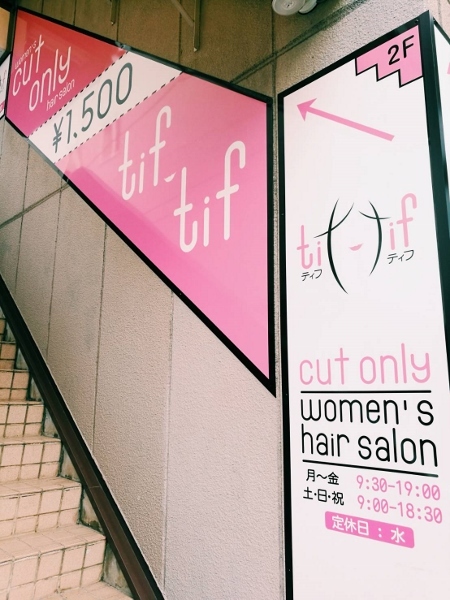 Women’s Hair Salon Tif-Tif is a 1500 yen “quick-cut” hair salon. Although 1000 yen “quick-cut” men’s hair salons are well-known in Japan, the owner, Mrs. Naoko Brunel, explained to me that she wanted to adapt the concept for women as well. For a set price of 1500 yen, the professional hairdressers of Tif-Tif will cut and/or style a customer’s hair beautifully. All of them are skilled and will help you realize the ideal hairstyle in only 20 minutes! The customers come to the salon with clean and dry hair. There is no need to make an appointment; come to the salon and you will be warmly welcomed by the kind and dynamic staff. This system is greatly convenient for working women, mothers and generally busy people. At the entrance, a “ticket” machine issues your waiting number. You can also access these numbers from your cell phone before going to the salon. 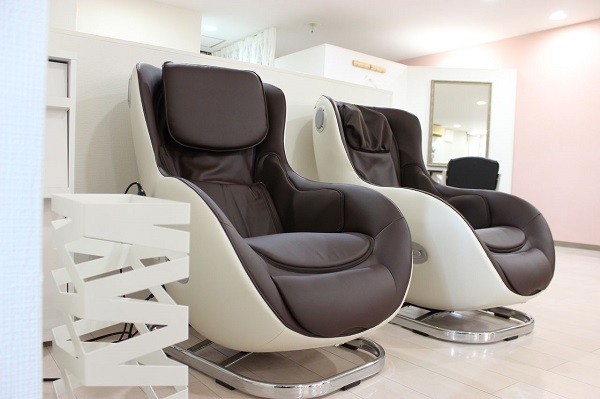 During the waiting time, you can enjoy the free massage chairs. It’s an easy way to take a break and relax. Free Wi-Fi access and a coffee vending machine are here to make your wait more enjoyable. Currently, the customers are mostly Japanese women aged between 30 and 60 years. 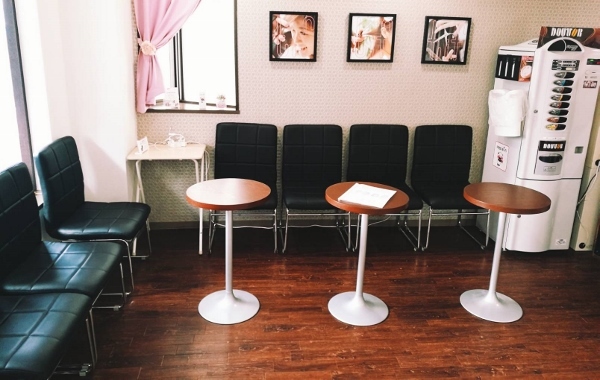 Often, getting a haircut in another country can be a daunting experience for foreigners. “I would like to reassure the foreigner customers that we are able to offer Western-style haircuts. So don’t hesitate to come to our salon, and feel free to bring images or magazine cuttings of the style you want!” said Mrs. Brunel. Hair catalogues are also available for the customers to look through. 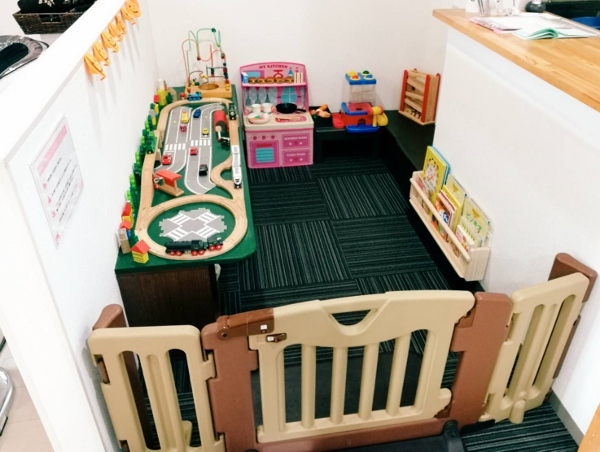 There are few salons you can go to with your children, but at Tif-Tif, children are welcome. There is a kid’s space to occupy your children during your haircut. This will save you from worrying about finding a babysitter. Moreover, the salon offers haircut for children! 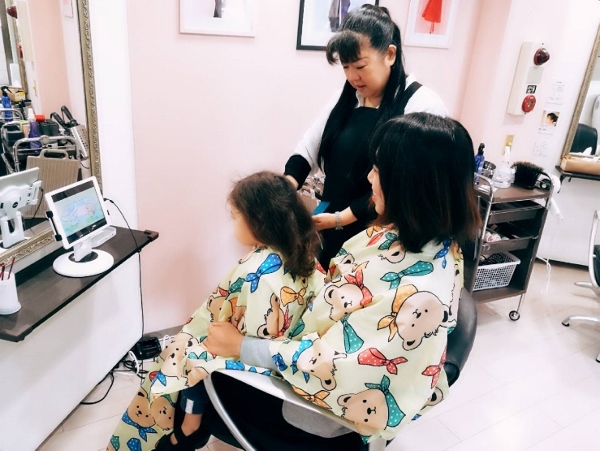 Sitting on their mother’s lap, children can watch Japanese anime during the cut. This way, they are reassured and remain calm during the process. Look at this cute robe! It’s made especially for mothers and children. It’s really convenient! 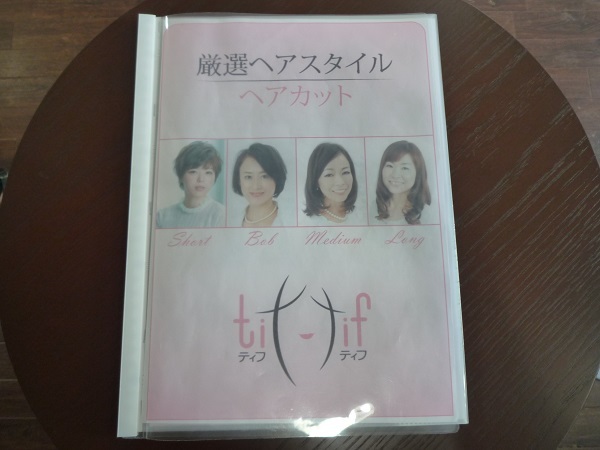 To feel radiant and beautiful, it will take you only 20 minutes and 1500 yen at Women’s Hair Salon Tif-Tif. It’s an easy and convenient way to get a quick, stylish haircut or styling session. So go ahead and take the opportunity to take care of yourself at this innovative women’s hair salon!